This week we are one step closer to understanding a world in our solar system that I believe has the best chance of supporting life beyond our own planet. NASA has just announced details about what instruments a space probe to Jupiter's moon Europa will carry when it makes multiple flybys in the next decade. I couldn't be more excited to be the project scientist of this mission. I first learned of Europa as a kid who made planets out of tennis balls covered in construction paper and masking tape and hung them from my bedroom ceiling on Long Island. In 1979, the twin Voyager 1 and Voyager 2 spacecraft flew past Jupiter and its moons. 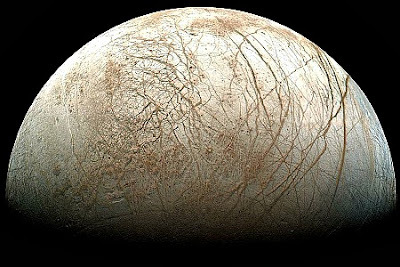 Though not the largest moon of Jupiter, Europa was the most enigmatic: Voyager's pictures showed a maze of dark lines marking the bright icy surface, like a cracked eggshell. . . .
Is Alien Life Surfacing Nearby?